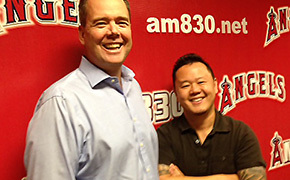 Chef Jet and Producer Andy preview the show. Highlights are Susan Feniger talking about her new Mud Hen Tavern on the site of the former Street in Hollywood, Troy Johnson, the Food Critic of San Diego Magazine, and Celebrity Chef Brian Malarkey (from San Diego) who is opening an ambitious restaurant on The Sunset Strip. 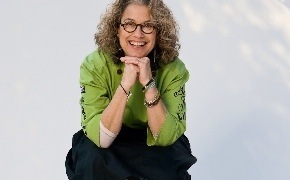 Chef Susan Feniger of Border Grill (Santa Monica, Los Angeles and Las Vegas) and Food Network’s “Too Hot Tamales” fame is back with us to talk about the revamping of Susan Feniger’s Street in Hollywood. It’s been refurbished as the Mud Hen Tavern. The concept is more of a comfortable neighborhood bar and restaurant where regulars can come and hang out more than one time per week. As with Street the Executive Chef and Partner is Kajsa Alger. Some of Street’s classic favorites remain on the menu including Kaya Toast. A rotating collection of eight craft beers is available on tap. Another eight hand-crafted beers are available in bottles. New is the Panini station. Also the wood-burning oven features an expanded menu of pizzas. Susan Feniger of Susan Feniger’s Street in Hollywood and Border Grill (Los Angeles, Santa Monica and Las Vegas) fame needs no introduction to listeners of the “SoCal Restaurant Show.” She was also one of the early super stars of Food Network with her business partner Mary Sue Milliken in the long running “Too Hot Tamales” series. A new Border Grill, with a full bar, has just debuted in the revitalized, and greatly expanded, Bradley International Terminal at LAX.